B102 - Jormungand Buckle in Belts, Buckles & Gloves is made for Women and Men and comes in Pewter and is made of Pewter material. It is marked as BeltBuckles and weighs about 1.00 lb. 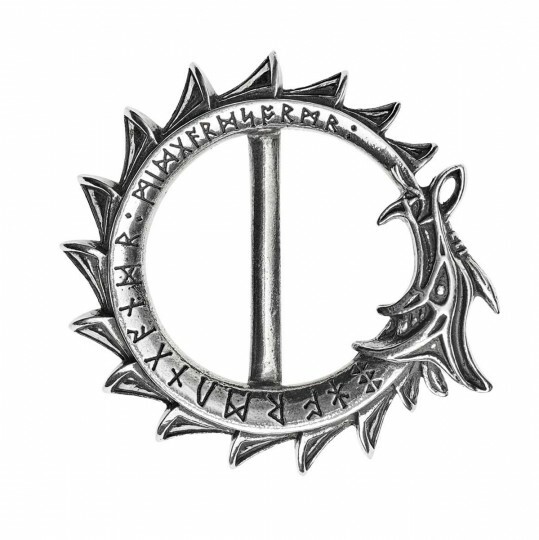 A robust, antiqued and polished pewter circular buckle in the form of a Celtic dragon swallowing its own tail, engraved with runes around its body. To fit a 1.5 (38mm) wide belt strap.